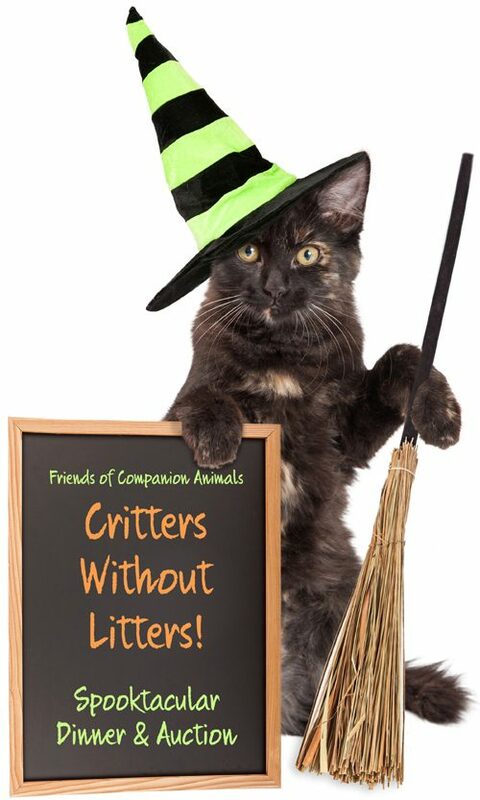 Critters Without Litters Halloween Dinner and Silent auction! Our 6th Annual “Critters Without Litters” Spooktacular Dinner and Silent Auction will take place at LaRoy’s Hall, 12375 S. Telegraph Rd. LaSalle, MI 48145 on Friday, October 26, 2018 starting at 6 PM. Since we don’t receive grants from the state or federal government, all of our monies are raised through our re-sale store and community events, such as this yearly silent auction. *All money collected will assist with care and spaying/neutering animals in our community and free roaming cats in colonies. Time: Silent Auction Begins when Doors Open at 6 PM; Dinner served at 7:00 p.m.
Attire: Casual attire and costumes encouraged, but not mandatory. Our Annual event depends on generous individuals and businesses within our community. Anything you donate for our event – either merchandise, services, gift certificates, etc. is greatly appreciated and 100% goes directly to help protect homeless cats and kittens in Monroe, MI. To donate an auction item simply call Penny Bly (419) 345-6905, Dottie Gilbert at (734) 241-8636 or Nadine Meeker (734) 770-8324 and we will make arrangements for a pick up. 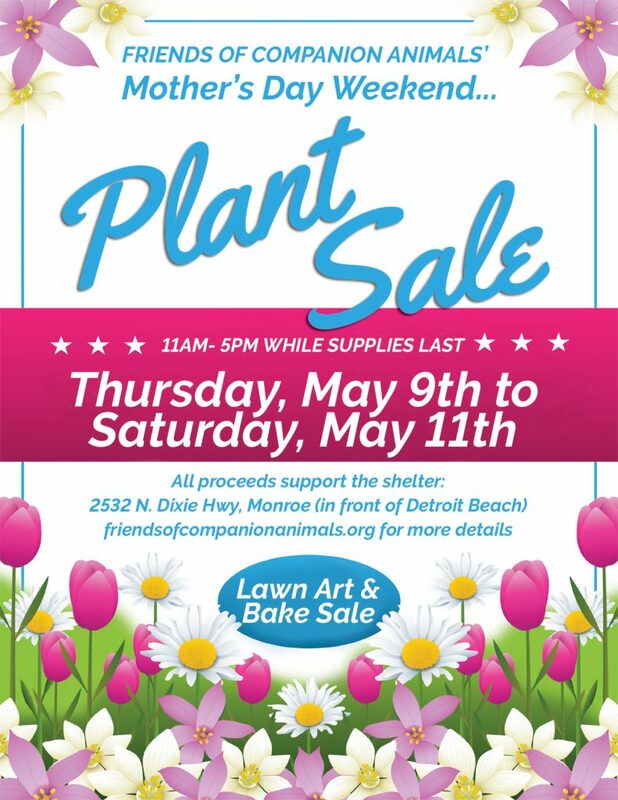 You can also drop of your item at our center ( 2532 N. Dixie Hwy., Monroe, MI 48162 at Detroit Beach) Thurs – Sat from 11 AM – 5 PM. All auction donors who contact us by October 15 will be recognized with a listing in our program booklet and on this web page, so it’s the perfect chance for you to ‘advertise’ to our community as well. Plus, this year, for just $100 you can have your company logo or business card added to our program. Simply email your artwork to friendsofcompanionanimals2013@gmail.com and we’ll contact you to arrange the payment.
. The second is to mail a check for the amount of your tickets at the link below. The final method is at the door for $35, if we still have space, so save some money by planning ahead! Below is a list of the individuals, companies and businesses offering great items up for bid so make sure to buy your tickets soon!